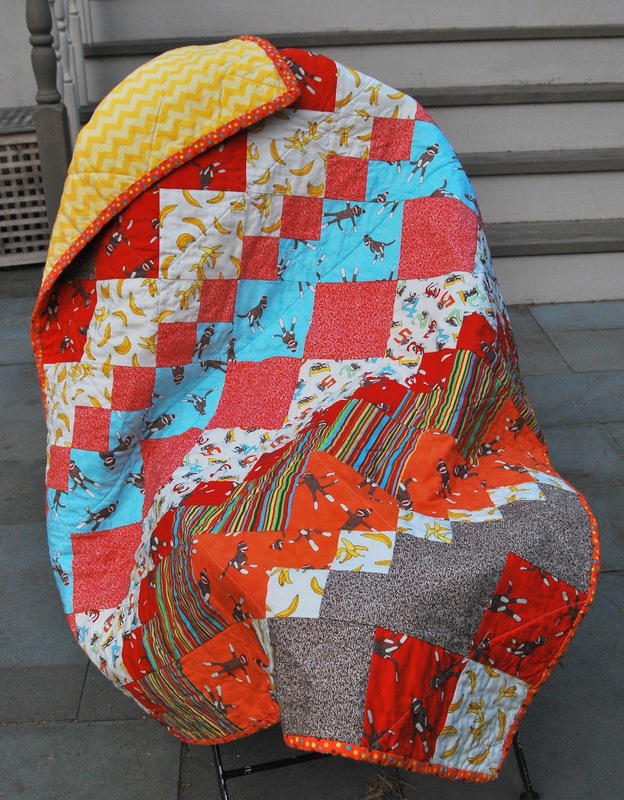 This is the third quilt I've made in this pattern. It's Square Dance by Bits 'n Pieces. It goes together SO quickly and it looks so fantastic. I made this for my friend and personal trainer who is having her FIFTH baby. Yowza! I used an all yellow chevron back, and I love that this pattern only needs one WOF for the back, so 1 1/2 yards does the whole thing with no need to piece. It uses eight fat quarters and a 1/2 yard for the back. She's not sure if she's having a boy or a girl, and I thought these bright colors were gender neutral. I love the bright colors anyway. Here it is all folded up with my label. I love my labels. Only one more baby quilt to go and I can get back to working on three other WIPs at once!